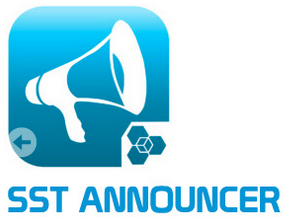 1) There will be a pre-course briefing on 7 Feb 2014 during the Assembly period. Please bring your LDs for the briefing. 2) Day 1: All participants will report to school by 7.40 am on 10 Feb at the MPH. Buses will be provided to ferry the students from SST to OBS Reception Centre (OBSRC) near Punggol Point Jetty. Students who wish to report directly to OBSRC will need to inform Mr Jerome Tan through email by 7 Feb and report to OBSRC by 8.30 am. a) For those leaving with parents/guardians: Participants to inform Mr Jerome Tan and mark attendance before leaving the jetty. b) For those leaving without parents/guardians: Participants' parents/guardians to inform Mr Jerome Tan through email by 13 Feb (Day 4). Participants will not be allowed to leave on their own without parents/guardians unless the emails are received on time. 4) Students who will not be participating in OBS are required to report to SST according to the usual school schedule i.e. 8.40 am on Monday and 7.40 am on other days. There will be a special programme for these group of students and they will be dismissed at 12.30pm daily. Please remember to attend CCA as usual. 5) Please refer to the Sec 3 Googlesite (Announcements) for the pack list if you have misplaced the hard copy that was distributed earlier. 6) We have scheduled a Parents' Visit to OBS session on 11 Feb from 10.00 am to 12.30 am. There are limited places available. Please inform your parents to email Mr Jerome Tan if they are interested. More information can be found on the Announcements in Parents' portal on the SST Website. 7) Take care of yourself and drink lots of water for the 2 weeks before OBS to avoid illnesses, injuries and the disappointment of not being able to participate in the exciting course. 8) Other details will be provided during the pre-course briefing on 7 Feb.